Cities such as Bangkok, Hong Kong and Seoul routinely top the list of Singaporeans' favourite travel destinations. But for a growing group of travellers, skyscrapers and shopping malls are the last things on their mind. They want nature - trees, mountains, corals and caves - instead. 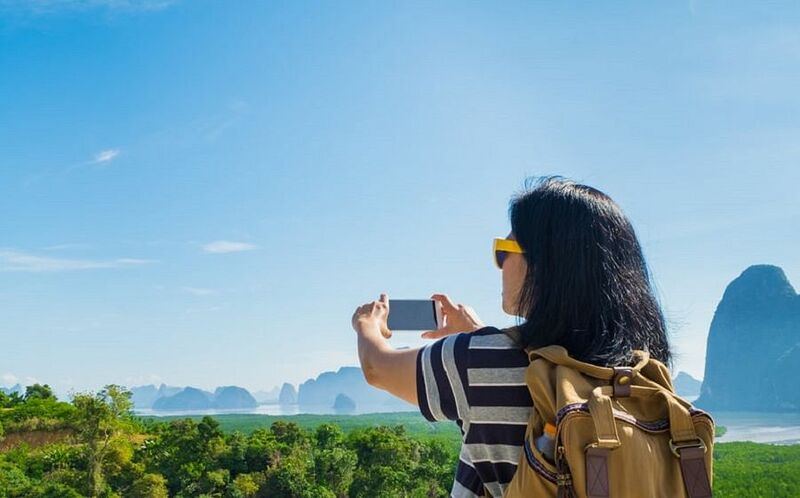 According to the latest statistics from the United Nations World Tourism Organisation, nature- based tourism accounts for about 20 per cent of total international travel and continues to grow. Forests are a top priority for Ms Bee Choo, 52. "I seek out places that are still wild, where the forest is still intact and the birds and animals are still there," she says. The coordinator for Bangkok- based Hornbill Research Foundation says she avoids travelling to cities because they all look the same to her. "I can eat and shop in Singapore. Why should I do that overseas?" she says. With thousands of beautiful destinations to choose from, identifying an interest is helpful when searching for your nature-based getaway. Booking.com has a new Destination Finder feature, which allows travellers to search for destinations and accommodation based on interests, which can be anything from hiking to surfing to food. Travellers can input "whale watching" and "Europe", for example, and a list of recommended destinations based on customer ratings will appear. Nature photographer John Arifin, in his 60s, seeks out bird life. For the past 30 years, he has travelled around Asia, revisiting destinations such as Thailand, Sri Lanka and Borneo, to see them. He knows that November to February are good months to see wintering birds in northern Thailand, while March to May is nesting season for many resident rainforest birds. Getting to know the environments and habits of wild animals is one of the things he loves best. Unlike many young people, who he says expect everything at their fingertips, he finds joy in taking the time to dig deep and immerse himself in the landscape. "In the wild, you don't see animals arrive in front of you. You have to search for them. You have to be patient," he says. "It's about taking the time to discover and understand something you haven't seen before and, when you finally see it, it's like hitting the jackpot. It's a rewarding and fulfilling experience," he says. Holidays spent observing the unique native wildlife in destinations such as Madagascar and Botswana, and regular visits to Fraser's Hill, a hill station in Pahang, Malaysia, have changed the life of Dr Vilma D'Rozario. She will be leaving her career as an associate professor of psychological studies at the National Institute of Education to devote herself to nature conservation at the end of the year. Her interest in nature travel started about 20 years ago and turned into an obsession, she says. She volunteered with Malaysian Conservation Alliance For Tigers (Mycat) as a volunteer to help protect the few remaining wild tigers in the forests of Pahang and, before long, was coordinating volunteer trips with Mycat. "I find peace in wild spaces, especially the rainforest. When I am in the forest, I feel like I am part of the eco-system. I feel very much at home." From mountains to caves to coral reefs, here are seven holiday suggestions to keep nature lovers happy. The recent discovery of Hang Son Doong, the largest known cave in the world, is a humbling reminder of how much of the world is still unexplored. Located in the heart of the Phong Nha-Ke Bang National Park in the Quang Binh province of central Vietnam, the cave was discovered by a local man in the 1990s, who promptly lost its location. It was almost 20 years before he found it again and alerted the authorities. It was explored by the British Cave Research Association in 2009 and 2010. Over 5km long, with sections reaching up to 200m tall and 150m wide, Hang Son Doong was created by the Rao Thuong River, which carved its way through the limestone mountains. Inside, adventurous travellers can see the sun shine through enormous sinkholes and camp in vast caverns and explore the otherworldly interior of the cave, which contains clouds and rivers and jungles and stalagmites up to 80m high, the tallest encountered. The cave was opened to the public in 2013, but only one company, Oxalis Adventure Tours can conduct tours there. The tours take a maximum of 10 guests at a time and the company claims that fewer people have seen the inside of Hang Son Doong than have stood on the summit of Mount Everest. From February to August, Oxalis offers weekly departures for its four-day, three-night expedition into the cave. Safety gear is provided for participants, who must be aged 18 years or older. They must be physically fit enough to walk more than 25km in the jungle, cross knee- deep underground rivers, complete rock climbs and traverse rocky terrain throughout the tour. It costs US$3,000 (S$4,000) a person, with meals. However, it does not include the necessary one night before and after the expedition in a nearby farmstay. Last year, Oxalis introduced a five-day, four-night photography-focused expedition of the caves, which costs US$4,000. It will continue this year. Only 500 to 700 expedition spots are available every year and they sell out within minutes of their release. Fortunately, Hang Son Doong is one of many caves in the national park. Oxalis offers less strenuous tours to some of these other caves, including the Hang Tien and Tu Lan caves, which are also stunning. The best time to go is during the dry season, from February to August. 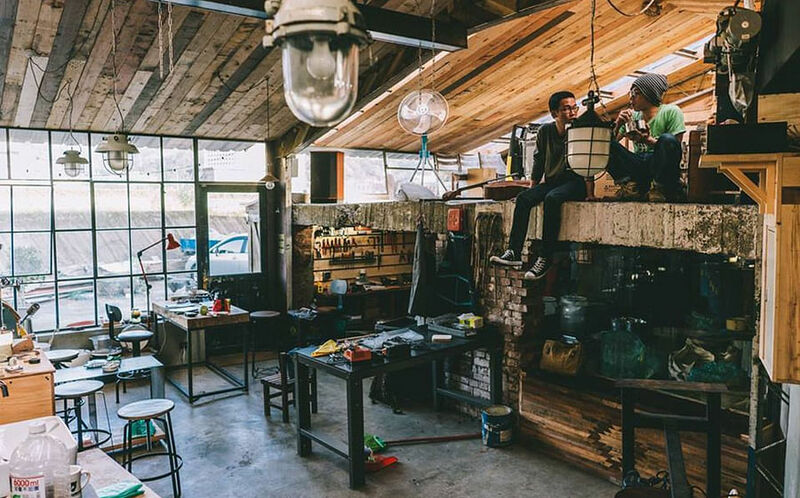 Scuba divers are always looking for something new, says Mr Lester Kwok, master instructor at Orpheus Dive shop in Zion Road, so naming the world's best dive spot is nigh impossible. "Scuba divers are fickle-minded. Every diver wants to see something new or have a new experience every time he dives," he says. But when pressed to name a favourite spot, he points to Manado in Indonesia's North Sulawesi province. A diving destination with enough diversity for almost all interests and skill levels, the small city is the launching point for some of the world's most renowned dive destinations, where hundreds of types of coral, brightly coloured fish, turtles, rays and even whales are found at a variety of dive sites for beginner and advanced divers. Diving around Manado is generally separated into two popular straits, the Lembeh Strait and Bunaken National Marine Park, one of the most pristine marine parks in Indonesia. Lembeh is one of the world's best and most remarkable destinations for muck diving, in which divers scour the silty sea bed for marine life. This is where divers find weird-looking fish such as the black hairy frogfish, minuscule pygmy seahorses and mimic octopus, which can imitate the shape of another species to avoid predators. 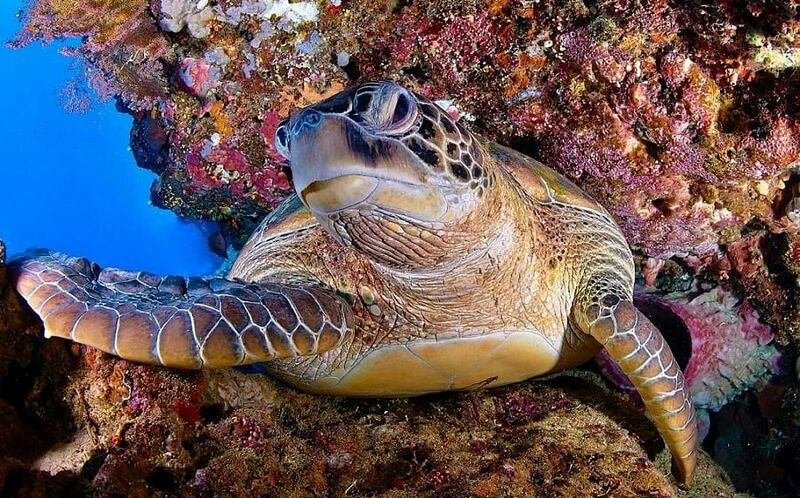 "It is also popular among underwater photographers as the black sand provides a good contrast and background for their images," he says. Anyone looking for a blue-sea dive heads to Bunaken, where sites range from 5 to 40m deep and the water is so clear that visibility is usually 20 to 40m. It is the perfect environment in which to admire abundant soft coral and huge schools of fish. Mr Kwok, who has been diving for 25 years, has taken dive trips to Manado every other month for the past 15 years and it is still one of his top all-round dive destinations with memorable highlights. "Over the years, we've seen large schools of manta rays, dugongs and even migrating orca whales from the surface of the water," he says. You can enjoy diving around Manado all year round, but overall dive conditions are best from March to October. Whale watching is one of the most popular activities in Alaska and it is no wonder. Alaska's bounty of deep waterways, protected islands and rich feeding grounds make it prime whale-watching territory. Gray, humpback, minke, orca and even the elusive beluga whales have a presence here. 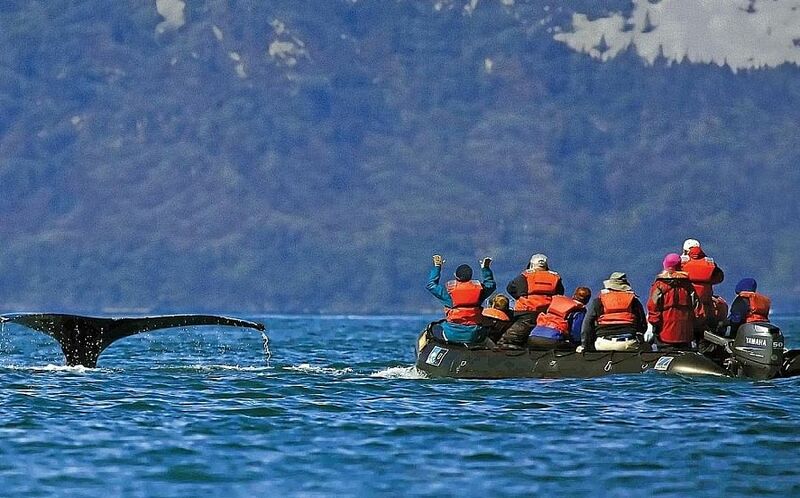 Whales can be seen from most Alaskan ports, although the cities of Juneau, Whittier and Seward are the most popular launching points for whale-watching tours, which cost from US$79 (S$105) to upwards of US$200 a person, depending on the size of the boat and the length of the tours. Every spring, gray whales migrate off the coast of Alaska on their way to their summer feeding grounds in the Bering and Chukchi seas. In May, the humpbacks and orcas arrive and swim around the waters of south-east Alaska until September. Humpbacks are particularly prevalent. Hundreds of them migrate to the cold waters of Alaska during the summer to feed and nurture their young. Kenai Fjords National Park and Prince William Sound are the most popular whale-watching locations, where travellers can also admire the surrounding glaciers and spot other marine life, such as sea otters, harbour seals, porpoises and sea lions, which live in the sound all year round. When Mr Olie Lever, 35, visited Alaska in 2014, he spotted a number of humpbacks, a minke whale and a pod of orcas. "It was fantastic. I also saw porpoises, dolphins and sea lions, making for a fantastic day of whale watching," says Mr Lever, head of Americas and Antarctica for Lightfoot Travel agency. "Sighting orcas for the first time was a real highlight of my Alaska trip, but witnessing a breaching humpback was an incredible experience I'd seen only on David Attenborough documentaries. It was a fantastic adventure to see grizzly bears on land and whales at sea." To see the whales, Mr Lever took a half-day tour in a fairly small boat for fewer than 20 people, an experience which typically costs about US$200 a person. For the more adventurous, he says, kayaking is also a great way to get up close to whales. Bird watchers live by their "life list", a record of all the bird species they have identified since they started bird watching. Some bird watchers set out on a bird-watching holiday with a specific rare bird in mind, but according to ecologist Albert Low, 31, for those who want to tick off as many birds as they can, the trick is to go to as many habitats as possible. Countries with diverse landscapes, from rainforests to mangroves to savanna, which also have reliable access to all of these habitats, are the best picks. For Mr Low, Uganda fits the bill. The East African country is home to more than 1,000 species of birds and is one of the top birding destinations on the continent. During a three-week trip to Uganda three years ago, he saw about 450 species of birds across multiple eco-systems. He started at the Mabamba Swamp, close to Entebbe, about a 11/2-hour drive from Uganda's capital Kampala. 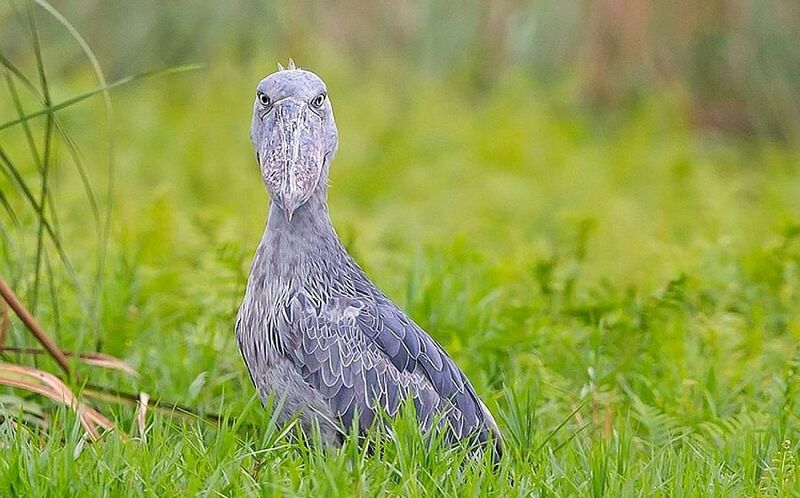 The freshwater wetland is home to the charismatic Shoebill Stork, which is popular with bird watchers and eco-tourists, and is one of the most sought-after bird sightings in Africa. The solitary bird, known for its unique, prehistoric-looking, shoe-like beak, is found only in tropical East-Central Africa, but is most easily seen in Uganda. He then went to Kibale National Park, 76,000ha of protected rainforest famous for its diversity and density of primates, particularly chimpanzees. For bird watchers, the green-breasted Pitta - one of Africa's most difficult birds to spot - is the park's highlight. Mr Low was fortunate enough to see it on his first day in the jungle. "Some birders spend days or weeks in the jungle and never get to see it. I was lucky," he says. His next stop was Queen Elizabeth National Park, 198,000ha of protected wilderness, including savanna and numerous freshwater habitats, home to elephants, lions and leopards, large numbers of the Nile crocodile, Cape buffalo, hippopotamus and, for bird watchers, the black-headed gonolek is the prize. No trip to Uganda is complete without a visit to the Bwindi Impenetrable National Park, 32,000ha of lowland and mountain rainforest, which is home to gorillas and 24 of Uganda's 26 Albertine Rift endemics, birds which are found only in this region of the world. The crown jewel is the African Green Broadbill, a rarely seen palm-sized bird found only in the mountains of Bwindi and adjacent Democratic Republic of Congo. For centuries, the Japanese have turned to forests for peace and solitude and, in 1982, the Japanese forestry ministry introduced the term "shinrin-yoku", or forest bathing, to promote forests as part of the country's national preventative healthcare programme. It is not the same as hiking. Practitioners walk slowly, sometimes not moving at all, taking time to relax, observe their surroundings and breathe in deeply fresh forest air. 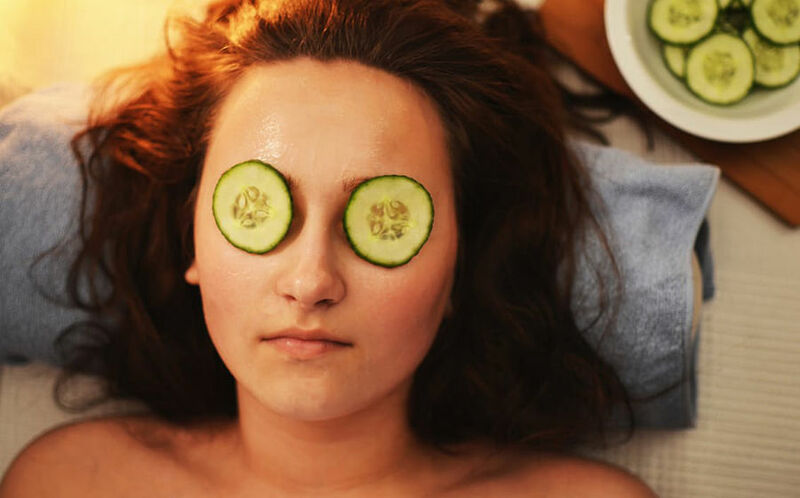 After millions of dollars' worth of medical studies, forest bathing has been proven to lower blood pressure, blood glucose levels and stress hormones. So, what better place to spend time surrounded by trees than in Japan, where verdant forests cover 67 per cent of the country. 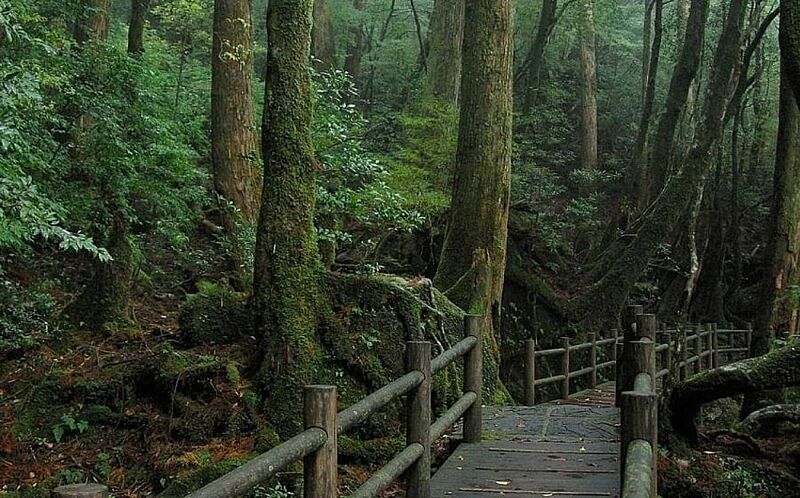 Some of the healthiest and most beautiful forests in this country are in the Tohoku region. Towada-Hachimantai National Park, which stretches across the Aomori, Akita and Iwate prefectures, has dozens of trails winding through forests of oak, cedar, cherry, dogwood, beech and maple trees. It is one of the best places to see the leaves change colour. Farther south, the sub-tropical island of Yakushima, off the southern coast of Kyushu, is covered by an extensive cedar forest. Past wooden walkways and stones covered in emerald moss, Yakushima's otherworldly forests contain some of Japan's oldest living trees. Known as yakusugi, the trees are at least 1,000 years old, while some are believed to be more than 7,000 years old. Mr Masatoshi Miyake, executive director of Japan National Tourism Organisation Singapore Office, says forest bathing is ideal in Japan, where nature spots are varied and easy to find. "Japan is home to an abundance of nature and each prefecture possesses a unique appeal of its own. The same spot you have visited once may offer you a brand new experience as the seasons change. "Just relax and immerse yourself in the peace of the forest," he says. 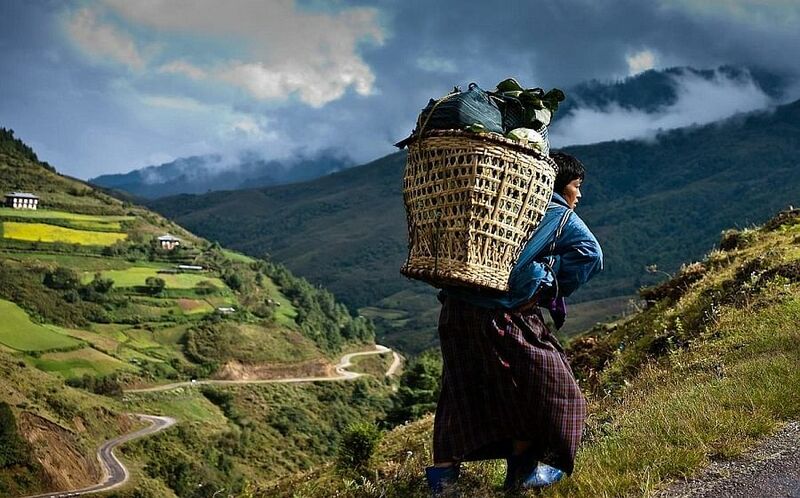 For travellers seeking solitude in the mountains, there is no better place than Bhutan. The remote eastern Himalayan kingdom promises weeks of trekking past snow-capped peaks, glacial valleys, pristine forests and mountain lakes, where tourists are few and interaction with the locals are pleasant. Ms Cathy Low, 69, director of Aveson Travel agency, has been to Bhutan seven times since 2010 and plans to return. "Bhutan has a fantastic energy and atmosphere. The air is clean and clear. There are so many trees and animals and birds growing wild in the mountains. The raw beauty of Bhutan's nature is simply amazing," she says. Visitors need to walk to see many of the country's main attractions, often high cliff-side Buddhist temples or natural vistas tucked away in alpine valleys, which can take days or weeks to get to. To see the crystal-clear Jimiling Lake and views of Mount Gangkar Puensum, the highest unscaled peak in the world, travellers take the Druk path trek, the most popular trek in Bhutan. Over six days, travellers will climb from 2,400m to 4,200m and see some of the country's ancient villages and beautiful scenery, from high ridges to blue pine forests. As for Taktsang Lhakhang (The Tiger's Nest temple), Bhutan's most iconic landmark, it is located on a sheer cliff face 900m above the Paro Valley and is accessible only by a two- to three-hour hike. Most trekking takes place in spring and autumn, between March and May and from September to November. But for many, the journey - across mountainsides coloured with Himalayan wildflowers in spring, golden rice fields in autumn and jaw-dropping views of mountains such as Gangkar Puensum, Bhutan tallest peak - is its own reward. Bhutan famously prioritises happiness over capital gain and tourism opened up here only in 1974. Even now, tourism numbers are kept relatively low by high tariffs. Visitors must pay at least US$200 (S$267) a person a night and tours must be organised through a Bhutanese tour operator. Fortunately, these barriers to the outside world have enabled Bhutan to retain its culture, religion and pristine mountain land. For a few weeks every spring, after the arrival of the winter rains, the once dry and dusty landscape along South Africa's western coast transforms into a riot of colours. Crimson, violet and yellow flowers carpet the fields and mountainsides and people travel from all over the world and drive hundreds of kilometres to see the wilderness in bloom. There are recommended flower routes, maps and dedicated telephone hotlines which will inform enthusiasts about the year's best floral displays along the Western and Northern Capes. The information is also easily accessible online (tinyurl.com/llr29tn). The flowers often bloom first in the Namaqualand region near the Namibian border in late July, then progressively southwards to Cape Town by late August. The blooms last until mid- to late September. Because flowers face the sun, which is in the north during a Southern Hemisphere spring, visitors should head as far north as possible, then admire the flowers in the many towns and national parks along their return to Cape Town. Visitors will be rewarded with flowers they have never seen or heard of before: meadows of butterfly lilies, lachenalia, sporries, magriets, maartblom, bloedblom and fynbos filling every rocky nook and field to the horizon, as well as African wildlife such as zebra and springbok along the way. Some areas, such as the Postberg Flower Reserve, part of the West Coast National Park, are open only during the wildflower season from August to September. For the rest of the year, the reserve, which is about a two-hour drive outside of Cape Town, is disturbed as little as possible so that the fields are full of flowers when spring comes. Darling, a little town about an hour's drive from Cape Town, is another floral highlight. Surrounded by wildflowers in Renosterveld Reserve and Tienie Versveld Reserve, 20ha of former farmland that has never been ploughed, the landscape around the town is a rainbow of floral diversity so rich that more than 10 per cent of the Cape Floral Kingdom occurs in less than 1 per cent of Darling's area. This article was originally published in The Straits Times. Get the latest trends and news on fashion, shopping, beauty, lifestyle, relationships & celebs and invitations to fashion events, special promotions from our partners and chances to win great prizes when you sign up! Copyright 2005-2019 Singapore Press Holdings Ltd. co. Regn No 19840286E. All rights reserved.